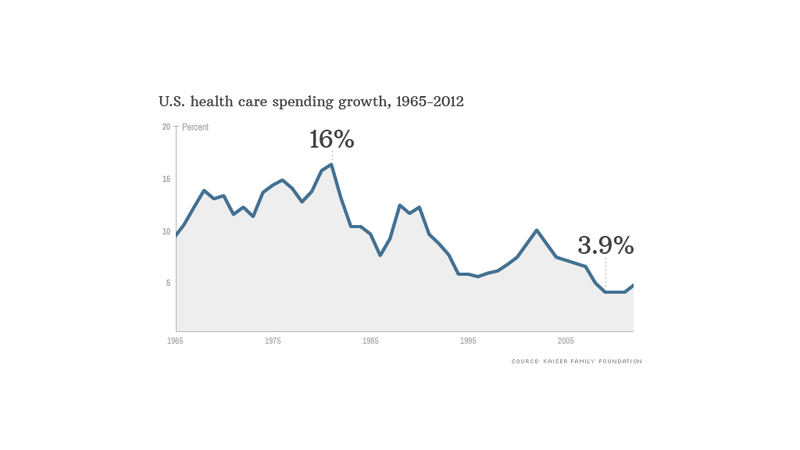 Health care spending growth is at a record low. Here's the catch. After years of scary, rocket-like growth, America's health care spending has slowed to record lows. That much we know for certain. What's less clear is why -- the weak economy or cost-control measures, including the earliest provisions of the Affordable Care Act. Since health care spending is a major driver of the federal deficit, that's a pretty critical question. The experts at the Kaiser Family Foundation and Altarum Institute are among the first to tease out how much each factor contributed to the slowdown. Their conclusion: about three-quarters is due to the lackluster economy. The rest stems from efforts to keep spending down, including measures introduced in the 2010 "Obamacare" law. America's national health care spending grew by 3.9% each year from 2009 to 2011, the lowest rate since the federal government began keeping these records in 1960. That slow growth appears to have continued into 2012, when expenditures totaled an estimated $2.8 trillion. The biggest driver of the slowdown is that people spend less on health care in weak economic times, said Larry Levitt, senior vice president at Kaiser. Those who lose their jobs often lose coverage and hold off on seeing the doctor, and even workers with company-sponsored plans may still face large out-of-pocket costs that they'd rather avoid unless absolutely necessary. "When people feel less secure, they are more hesitant to use the health care system," Levitt said. Most of Obamacare's provisions have yet to be implemented, but some of the early ones are already having an effect, Levitt said. 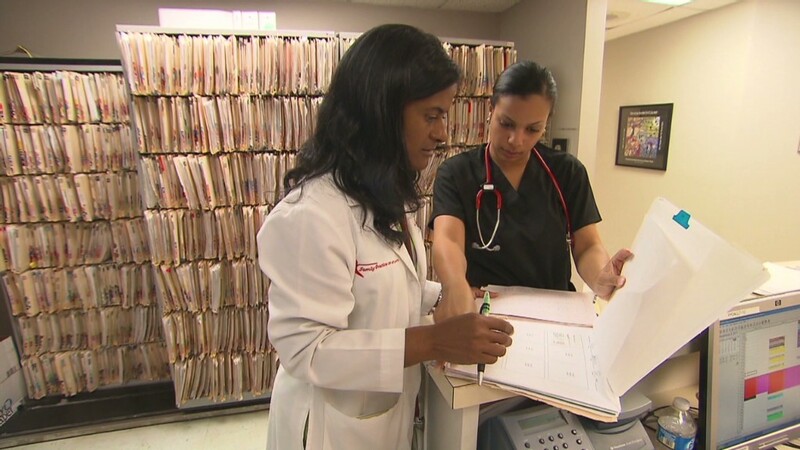 Insurance companies, hospitals and other providers are seeing smaller payment increases, while insurers are limited in what they can spend on administrative costs and must submit any premium increases of more than 10% for review by state or federal experts. Here's the catch: This dampened spending pattern is unlikely to last much longer. As the economy picks up, health care spending is expected to increase, rising to an annual growth rate of more than 7% annually by the end of the decade, Kaiser predicts. As their finances get better, Americans are likely to return to their more typical patterns of visiting doctors, getting tests done and the like. New spending control measures, including Obamacare, may temper that looming increase. Further trimming of provider rate hikes, along with additional efforts to coordinate care and pay providers fixed rates for treating a given illness instead of paying per individual test or treatment, may also help, Levitt said. The fact that Obamacare's early provisions have already had an impact is an encouraging sign, said Josh Gordon, policy director at the Concord Coalition. "It shows policy levers can be pulled to slow health care spending down," he said.